We just got back from an amazing trip to the Philippines where we got our minds blown at the Tropical Think Tank Conference (online business your thing? You should read this post). While we were in the Philippines we got to try some delicious traditional Filipino cuisine so of course we had to make a healthy paleo version! This recipe is inspired by our beautiful friend Jackie from Paleo Cafe Paddington (@primalgoddess83 on Instagram!). Thanks for the recipe <3! 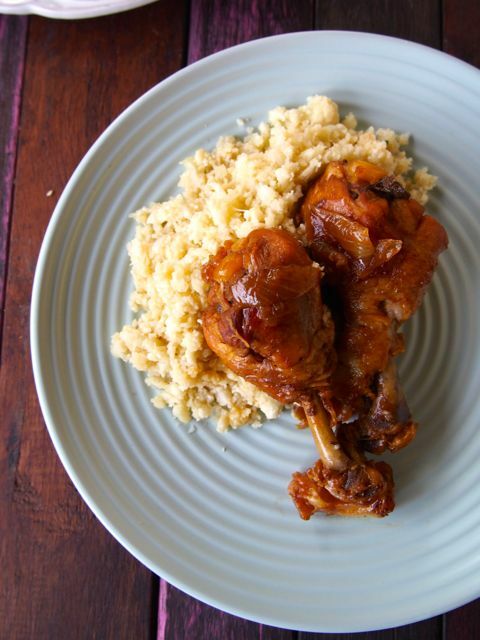 This Filipino Healthy Chicken Adobo is all kinds of delicious and a super easy recipe. It’s the perfect paleo week day recipe. It’s traditionally made with pork or chicken so feel free to mix up the protein! 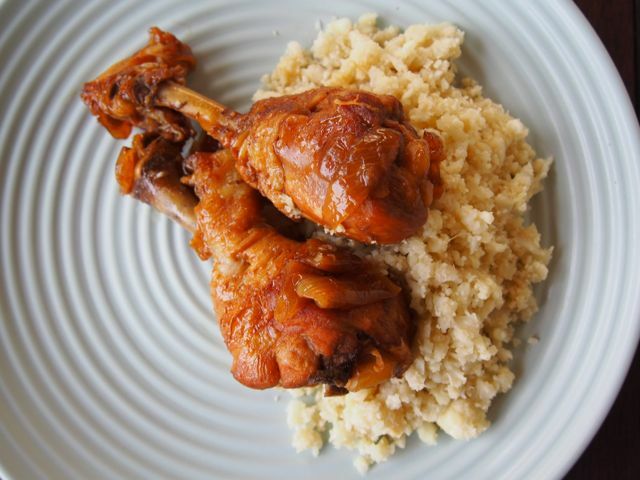 We’re kinda off pork at the moment so we used organic chicken drumsticks. Woweee yum. Let us know if you try the recipe, share on social media and hashtag #themerrymakersisters so we don’t miss it! Ps. 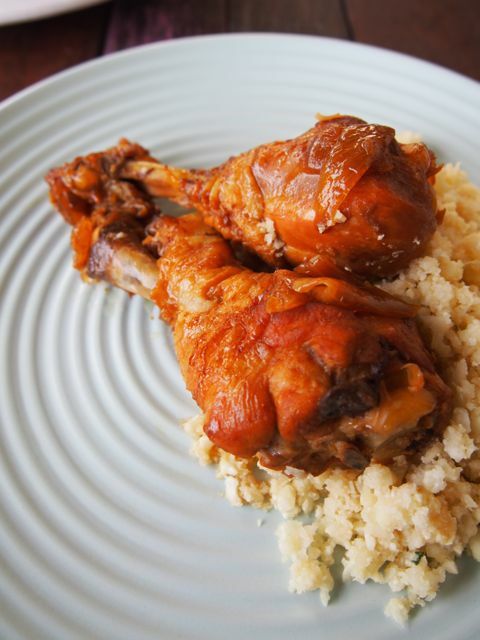 We served our Filipino Healthy Chicken Adobo with a side of Caulirice. p.p.s did you know this recipe features in our FREE recipe eBook? Download your copy HERE! In a deep sauce pan on high heat, melt the coconut oil. Add the onion and cook until soft. Take out the onion and set aside for now. Add the chicken to the saucepan and cook until all sides turn white. Add the garlic and onion and cook for another 3 minutes, stirring to distribute flavours. Add the lime juice, coconut aminos and vinegar, stir again. Turn the heat down to low, cover and simmer for 1 hour, stirring often to keep the chicken coated in the sauce. Serve this AMAZING dish with caulirice! The recipe link is above!